2018/12/04 — The Chinese books on Italian operaismo and feminism are out. Please, download the Chinese book-PDFs at Operaismo and Its Critique. 2018/12/04 — Chinesische Bücher über den italienischen Operaismus und Feminismus erschienen. 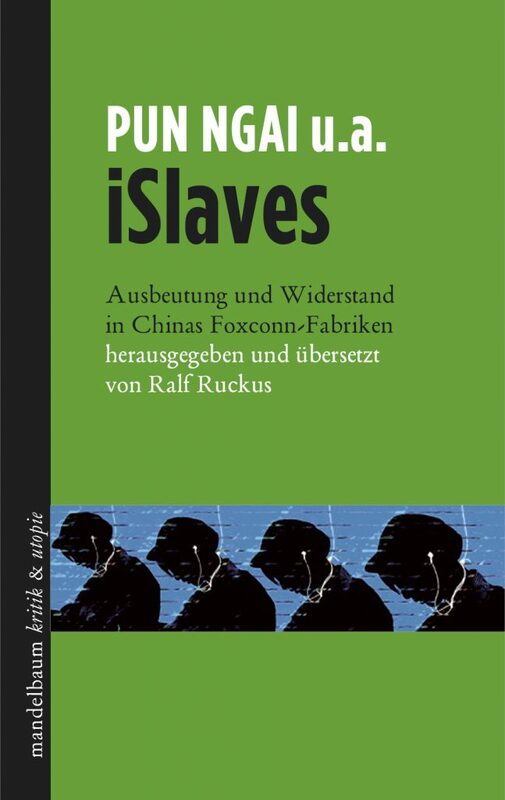 Die chinesischen Buch-PDF lassen sich auf Der Operaismus und seine Kritik runterladen. 2018/11/26 — Update on the autoworkers’ struggle in Changchun: Repeated division. 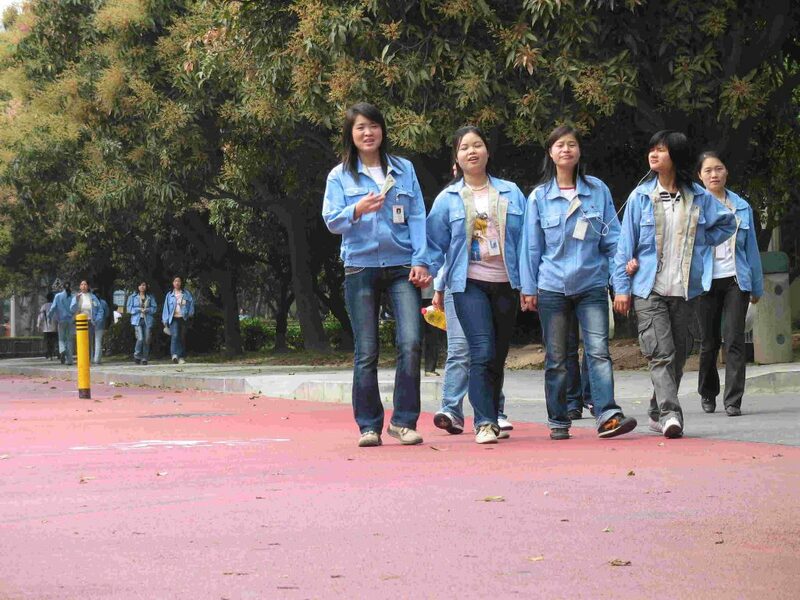 The struggle of temporary and outsourced workers at FAW-VW in Changchun, China, continues. 2018/10/04 — Beitrag von Ralf Ruckus zur Konfrontation zwischen China und den USA: China im Weltsystem – Pokerspiel um die globale Vorherrschaft. 2018/09/16 — Seite zum chinesischen Übersetzungsprojekt Der Operaismus und seine Kritik. 2018/09/16 — Page on the Chinese translation project Operaismo and its critique. 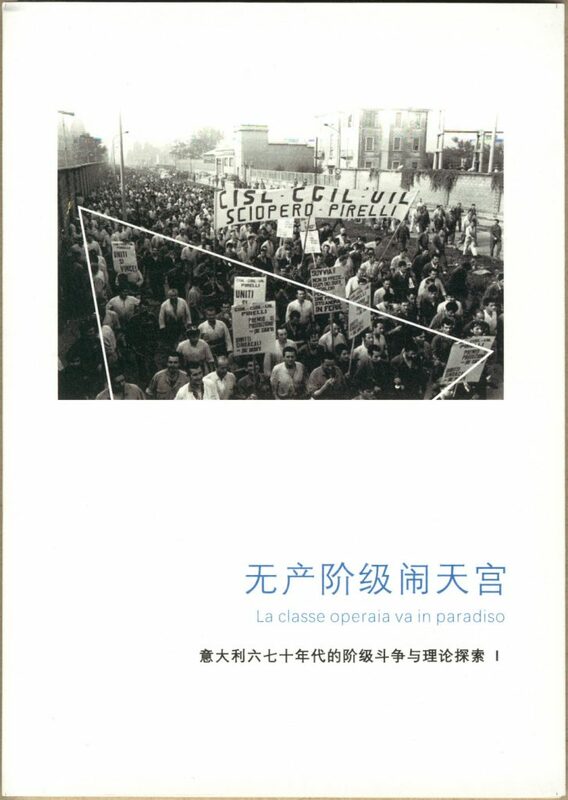 2018/09/15 — “The workers may have the last word, not those who are on the outside” – Interview with Ferruccio Gambino conducted for the Chinese edition of texts on operaismo. 2018/09/15 — “It is my story” – Interview with Alfonso Natella conducted for the Chinese edition of ‘Vogliamo tutto’ (or ‘We want everything’). 2018/05/08 — Nuevas traducciones en español de los Relatos de la Fábrica: Prefacio #1, Reflexionar con veinte años de trabajo en las fábricas de Shenzhen y En el dormitorio. 2018/05/02 — Relatos da Fábrica em português. Traduzidas pelo Passa Palavra. 2018/03/13 — Wir dokumentieren das Vorwort des Herausgebers von Arbeitskämpfe in Chinas Autofabriken. 2018/03/13 — We document the Preface of the German edition of Inside China’s Automobile Factories. 2018/03/10 — Insurgent Notes published two articles on the announced investment of the Chinese-Taiwanese electronics maker Foxconn in the USA. 2018/03/09 — Changchun, China: Is het protest van de arbeiders bij Volkswagen beëindigd? 2018/03/07 — We created a new English page to collect material on Unrest in China’s Car Factories. 2018/01/29 — Ya tenemos las traducciones en español de los Relatos de la Fábrica, desde China. Aquí se presentan los primeros tres: Un Día, Hablemos sobre la “Escasez de Mano de Obra” y Tres Conflictos y Una Conversación. 2018/01/15 — Update on the autoworkers’ struggle in Changchun: Has the Workers’ Protest at FAW-VW Ended? 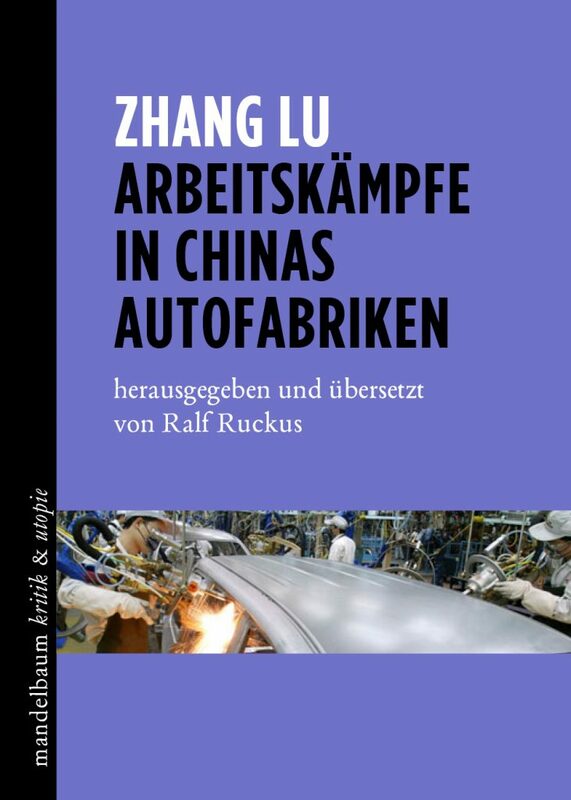 2017/08/09 — Ankündigung: Anfang 2018 wird das Buch Arbeitskämpfe in Chinas Autofabriken erscheinen. 2017/06/12 — Factory Stories: We put up a few more translations — Factory Stories: Some ‘big issues’ related to money, Notes on the work in two factories in Shenzhen, and the Preface to the Inland Workers issue. 2017/05/01 — Factory Stories: We put up a few more translations — Let’s talk about the ‘labor shortage’, Overtime trouble, and Overtime pay. 2017/04/30 — We document the result of an inquiry into the situation of Amazon warehouse workers in China by Inbound-Outbound-Notes: Working for Amazon in China where the global giant is a dwarf. 2017/04/02 — Factory Stories: We put up a few more translations — Visiting the Industrial Zone at Home, Will you make payments to a pension insurance fund?, and Will you make payments to a pension insurance fund? – State policy and workers’ misgivings. 2017/03/01 — Factory Stories: We put up a few more translations — In the dorm, Factory moods – Two pieces, The conflict of interests between the state, capital, and workers regarding social insurance, The Fu Factory Palace. 2017/02/28 — Frido Wenten schrieb für die aktuelle Ausgabe der Sozial.Geschichte Online den Aufsatz Gewerkschaftsreformen in China – Segen oder Fluch? 2016/12/09 — Die Zeitschrift Peripherie hat die deutsche Übersetzung eines gongchao-Beitrags veröffentlicht: Interview über neuere Trends: Arbeitskämpfe, Organisationsprozesse und Repression in China. 2016/09/09 — Sozial.Geschichte Online published a review and interview by Ralf Ruckus: Li Minqi on the forthcoming collapse of China’s economy and the capitalist world system. 2016/06/01 — We document an Interview on recent trends: Labor Struggles, Organizing, and Repression in China. 2016/04/25 — Sozial.Geschichte Online published a review and interview by Ralf Ruckus: Zhang Lu on exploitation and workers’ struggle in China’s auto industry. 2016/03/07 — An English version of the book with strike reports from the Pearl River Delta was published by Haymarket Books: China on Strike. 2016/03/01 — Factory Stories: We put up a few translations — Three Conflicts and One Talk, Getting through Security, There is no such thing as fully used work time, Management in the Factory. 2015/11/22 — In der aktuellen Ausgabe der Sozial.Geschichte Online bespricht Ralf Ruckus die Bücher The End of Cheap Labour? Industrial Transformation and ‘Social Upgrading’ in China von Florian Butollo und The Cultural Revolution at the Margins. Chinese Socialism in Crisis von Wu Yiching. 2015/10/01 — Factory Stories: We put up a few translations — Preface #1, Hire and Fire, Decoding “Short-Term Work”, Labor Shortage and Layoffs. 2015/09/15 — We document the English translation of the article China Crash – The Faltering of Economic Transition by Ralf Ruckus. 2015/09/05 — Nous documentons Le krach chinois. Les balbutiements de l’économie de transition par Ralf Ruckus. 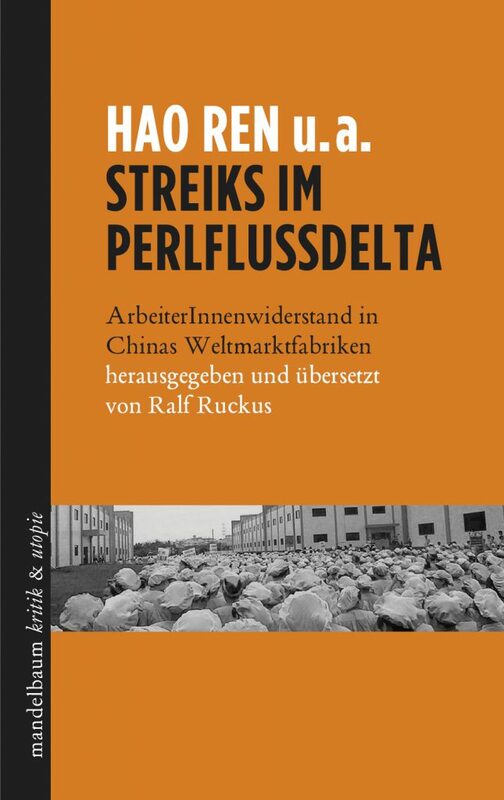 2015/09/02 — Wir dokumentieren China Crash – Der Umbau der Wirtschaft stockt von Ralf Ruckus. 2015/09/01 — Documentiamo Crashing Stocks. La trasformazione cinese arriva ad un punto di svolta di Ralf Ruckus. 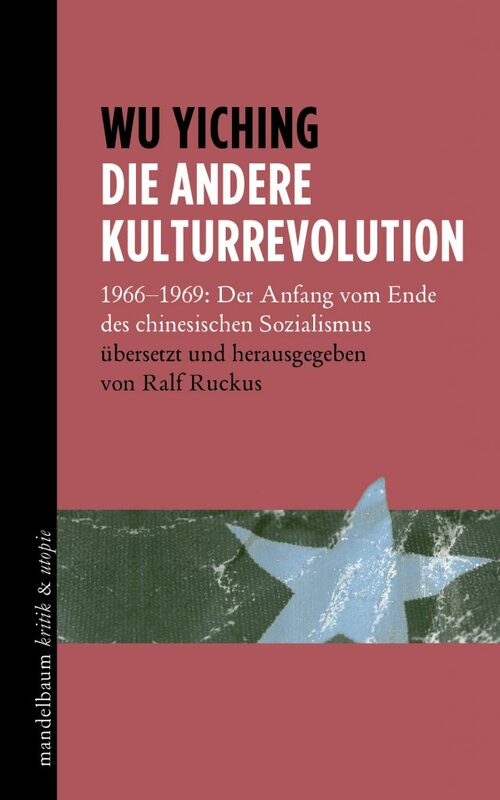 2015/09/01 — In der aktuellen Ausgabe der Sozial.Geschichte Online bespricht Ralf Ruckus das Buch Chinas Kapitalismus von Tobias ten Brink.